Offered to the rental market is this spacious 3 bed family home in the much sought after Bishopbriggs. The property comprises of lounge with gas fire, dining room, kitchen, additional reception room at the rear of the property, with patio doors onto the decked garden and lawn area. On the upper level are 2 double bedrooms, one single bedroom and 3 piece white bathroom suite with electric shower over bath. 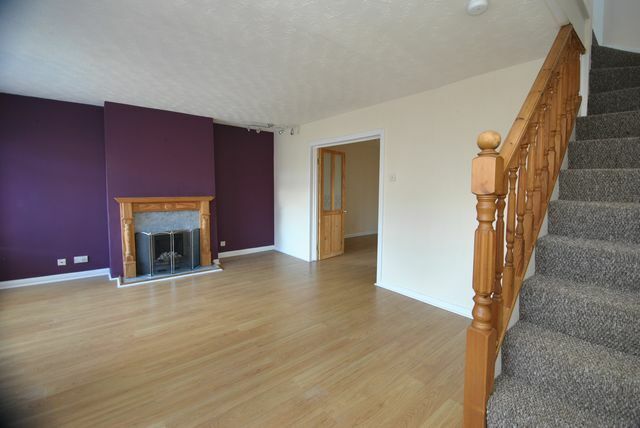 The property further benefits from garage and driveway, double glazing and gas central heating. There are many local amenities including a 24 hour asda, and schooling at primary and secondary level.